Striping a lawn can create a dramatic effect and elevate the lawn to a new level. 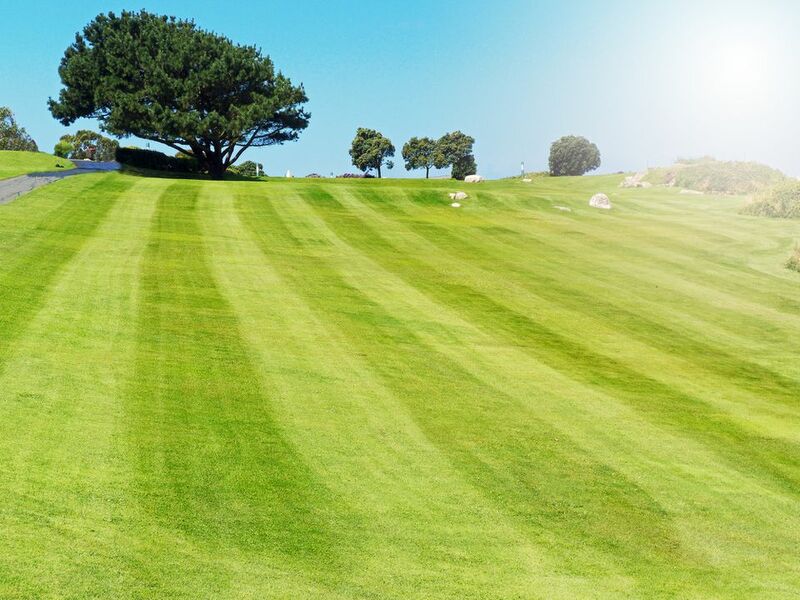 When people refer to wanting their grass to look like a golf course, they usually mean the look of the striping rather than the health of the turf. Alternating mowing patterns by 90 degrees or 45 degrees adds to the aesthetic and is also good for the grass. Riding or walking rotary mowers can be fitted with striping kits. You can buy a striping kit online or find instructions on how to build one yourself. A striping kit is attached to the rear of the mower or right behind the mowing deck. It can range from a weighted back roller assembly to a firm rubber flap or brushes to lay the grass down. Homemade attachments made of PVC or lumber can also do a decent job of striping a lawn. If you are unable to do it yourself, many lawn care companies are now equipped with striping mowers. You may have trouble striping a lawn comprised of certain low growing warm season grasses, like Bermuda grass. The low growth habit and coarse leaf blade will not allow it to lay over. Before you start mowing, decide on the pattern you want to create. It may help – especially when doing this the first time – to make a sketch of how the pattern will fit the layout of your lawn. The possibilities are practically endless, but stripes, checkerboards, and diamonds are the most common patterns. Unless you're purposely creating a wavy pattern, take care to mow in a straight line. Are You Tolerant or Violent Toward Violets?